This panel discussed South-South and triangular cooperation and the future of work for youth from three angles: policies for skills development, green jobs, and social dialogue. 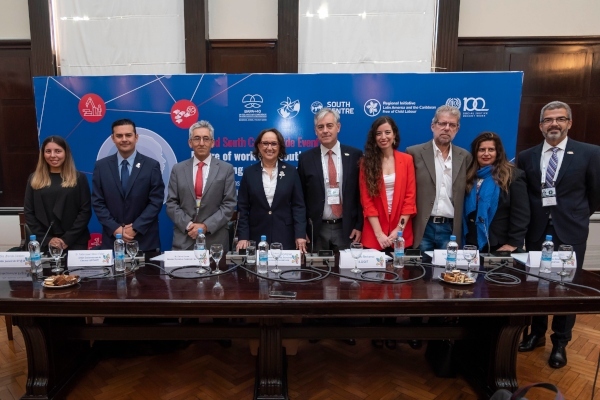 The discussion took into account the report by the Global Commission on the Future of Work, launched on January 22, 2019, to mark the beginning of ILO’s centenary celebrations. The panelists also provided recommendations for BAPA + 40 participants on effective integration of South-South and triangular cooperation into Youth Employment Policies. It was a great opportunity to give light to the Future of Work report in the Americas in a High-Level Conference of the UN System, as well as on reflect to the contribution of youth therein. The event attracted more than 150 people with standing audience and have received a great deal of constructive and positive feedback from participants and experts both during and after the event.